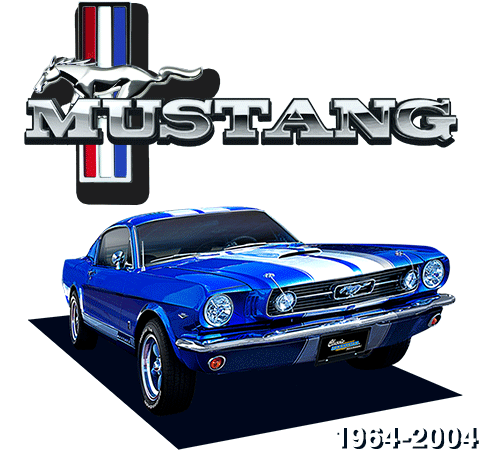 Since its humble beginnings in 1976, Classic Industries has grown leaps and bounds to become the premier source of restoration and performance products for 1964-04 Mustangs. In 2017, Classic Industries acquired California Mustang, a leader for over 40 years in supplying parts and accessories for the restoration of classic Mustangs. The two legendary powerhouses joined forces to greatly expand the reach and circulation of the brand, producing a comprehensive new catalog with hundreds of new line listings for classic Mustang restoration parts and accessories. In March of 2018, to better serve Mustang enthusiasts, California Mustang moved from City of Industry, California to the larger Classic Industries corporate headquarters in Huntington Beach, California. 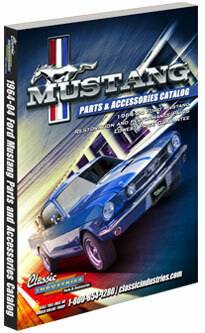 Now, more than ever, whether you own a coupe, convertible or fastback; be it base model, Grande, Mach 1, Boss, Shelby, California Special, or whatever your pleasure, Classic Industries' Parts and Accessories for Mustang catalog has everything you will need, and more!